Residential property staging is also commonly known as home staging. This specialty art and design science is geared towards marketing real estate to bring in the highest monetary offers possible, regardless of whether the residence is for rental or for sale. Home staging is so effective at facilitating real estate transactions, since it makes crucial changes to the property which have been statistically proven to delight prospective buyers and pave the way for profitable offers. This editorial examines the need for staging a residential piece of real estate prior to sale, as well as the results of staging, compared to unstaged properties, during the sale’s process. There are many professional home stagers in business all over the world. This sector of the property industry has grown phenomenally fast and there is still room for it to expand more over the coming decades. The demand for quality staging services has tempted many people to change careers and get into the lucrative and interesting design industry. There are now so many excellent home staging schools, some convenient online staging courses and even a few mail-order home study programs which can teach interested parties the skills they need to achieve success in this fast-paced and financially-rewarding industry. 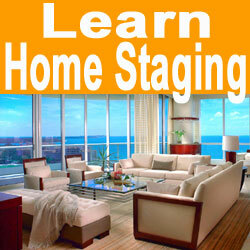 Home staging careers are very diverse, with job opportunities coming in many different industries. The flexibility of the work environment is one of the many draws of a real estate staging career. Do-it-yourself home staging is also a growth sector of the real estate marketing concept. So many home owners realize that staging is not beyond their skills and with a bit of research and some trial and error, they too can achieve great aesthetic results to help sell their properties. The best part of DIY home staging is that it is very low cost and works well in family settings which are prohibitive to professional home staging. However, I always recommend that would-be DIYers learn the basics of staging, before trying their hand at it. This is fast and easy, as there are now a great number of quality home staging books and other DIY materials available. My own best selling book has been called “the definitive guide to home staging” in various media outlets. Some DIYers love the process so much, they even decide to pursue staging as a new career once they actually sell their homes. 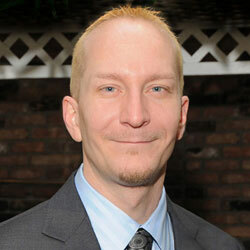 Home staging and the real estate industry have become inextricably linked. More and more smart real estate agents and brokers are getting involved in home staging themselves or hiring on dedicated in-house stagers to prepare all of their listings prior to their respective open houses. Staging can be a profitable add-on service for real estate professionals and is well documented to help them to achieve their main objective: selling the home. How could this match be any better? Home staging is a part of virtually every successful real estate business currently and will surely expand to include all businesses in the future. The future is certainly bright for home staging and I, for one, am so excited to see how the industry will grow and evolve in the coming generations.